Apart from your bedroom, there is another room in your house that you should pay extra attention to so that it will be just as inviting and homey – this room is your bathroom. Think about it, you officially start your day in the bathroom. The kind of shower you have and the overall aesthetic and feel of your bathroom, in a significant way, dictates how inspiring your day would start and how relaxing it would end. Considering this reality, it is quite clear that spending resources on new bathroom designs Rowlett, TX are worthy investments. Lighting. Lighting sets the mood and adds a lot of character and personality to any room, which is why it is always a critical factor in any bathroom designs Rowlett, TX. While dim lights provide a romantic and warm atmosphere, it is not very functional if you need to do things inside the bathroom that will require brighter lights. However, it is important that you open your mind so that you can consider the many possibilities. For instance, if your bathroom has a high ceiling, a chandelier can be one of your many options. Ceilings, floors, and walls. For your ceilings, floors and walls, you can consider blending different materials to create a natural and warm effect. A soapstone sink will go well with a countertop made of wood and natural stone flooring. If you have the budget, you may also want to invest on heated floorings to ensure that your bathroom experience will always be warm and cozy, regardless of the below zero weather outside your home. Explore and be willing to think outside the box so you can blend and match elements of various materials. Colors. 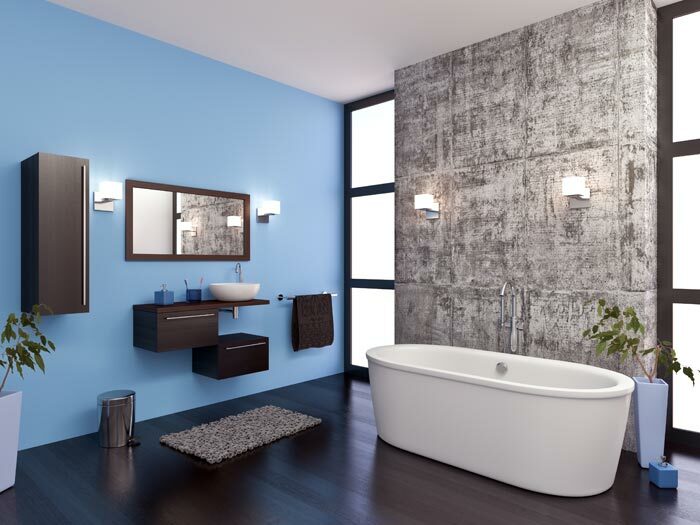 Your choice of colors significantly affects the aesthetic of your bathroom. But more than aesthetics, it is a well-known fact that colors can significantly influence your mood. If you want to feel most relaxed, you can play with warm natural hues such as brown, red-orange, as well as other colors of autumn. These earthy tones will also make your bathroom more welcoming and warm. Other touches. Other important elements that you can alter also include draperies, towels, rugs and other soft items that can break the hardness of other pieces. Adding soft touches to your bathroom can provide it with a spa-like feel and integrity, which undoubtedly has calming effects. All the above-mentioned elements are like puzzle pieces that should fit together. To make sure that you will get the combination of all these elements perfectly to come up with one of the best bathroom designs Rowlett, TX out there, it is best that you hire a professional company to do the remodeling for you like Lee Tile. This company has outstanding reputation considering that the same has been in the business for over six decades, call them for more information about bathroom remodeling today.